I love this quote so much! When I found it I was so happy because it goes so well with my goals this month AND my word of the year, ENERGY. I can't wait to look at this quote all month. I love how true it is. I plan on doing a lot more things out of love because that way I can have more energy. Everyday I plan on showing Ryan a little more love than usual. I should do this everyday and that is my goal in the end, but for sure I want to focus on it this month. I have already written a post about ways I can show love to my husband. They are all super simple and honestly when I do these things for him I DO feel energized. So I will start checking those off. Watch the sunset together (WE NEVER DO THIS). Take turns photographing each other. I love getting close ups of my husbands eyes. But really his lips and ears are just as cute. Play a board game he loves. Go on a couples date with friends. Ask him what I can help him with. And DO IT! Tell him thank you for all he does for me and our daughter. Don't forget to check out my goals this month and enter for the giveaway! 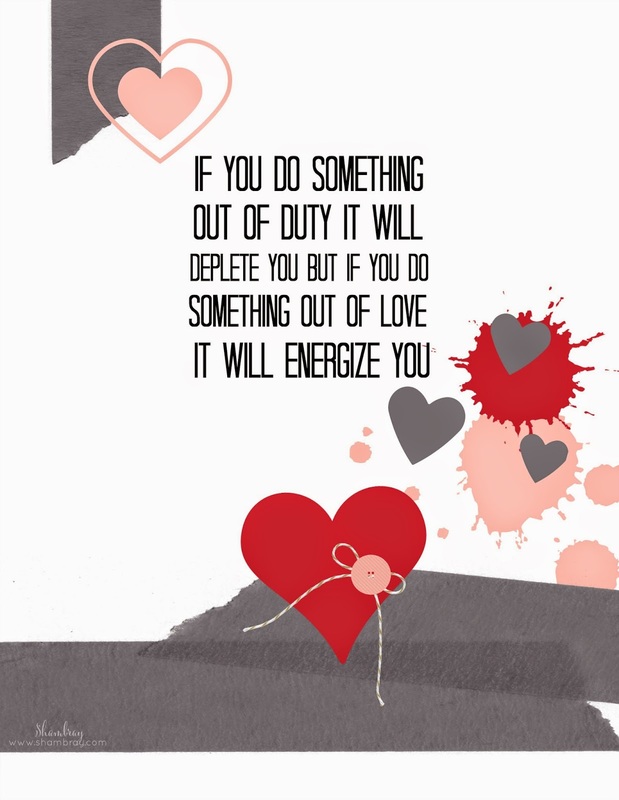 What are some things you have done in the past that have energized you because you did it out of love? Click here to get your free printable of the quote!